Patriot Armor produces customized protective glass systems (systems in bullet resistant glass, bullet proof glass, security glass, and polycarbonate clads) for everyone from law enforcement officers to law-abiding citizens: police patrol cruisers, fully armored vehicles, discrete protection for personal vehicles and executive transportation. We’ve developed versatile Systems for police patrol cruisers, heavy-duty barriers for fully armored vehicles and discrete protection for personal vehicles and executive transportation. 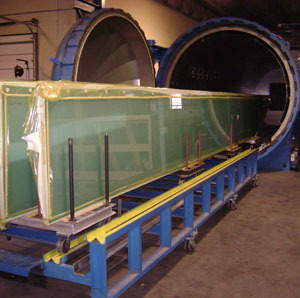 Patriot Armor is an industry leader in glass and polymer lamination. We specialize in bullet-resistant and security glazing for government, military, institutional and commercial clients. We custom-develop systems for a variety of ballistic, forced-entry and impact-resistant applications, including automobiles, aircraft, boats, and architect applications such as prisons, guardhouses, courthouses, law enforcement facilities and retail stores. 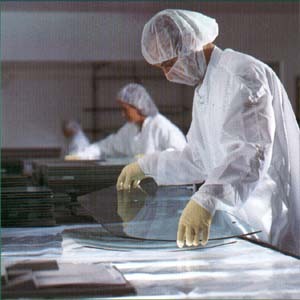 Glass Laminate and Glass Clad Transparency barriers can be shaped to fit OEM specs for windshields and other curved surfaces. When Patriot Armor develops a glass barrier system, visibility is never compromised for safety. We’ve found innovative ways, ranging from chemical treatments to advanced materials, to combine visual clarity with superior attack and ballistic protection. And because spalling – the spray of glass fragments into a vehicle at impact — can be as damaging as the threat the glass stopped, we offer a full-line of low-spall and no-spall barriers for many applications. In Patriot Armor’s advanced production facility, glass, laminates and polycarbonate sheets are interlaid in a clean room to ensure clarity. In our large autoclave, superheated steam seals the layers together. We rise a variety of materials and compositions to meet many security needs. But we use only one philosophy: ensuring quality within our doors is the only way to ensure safety within yours. From the computerized slumping and forming ovens to the high-capacity autoclaves, our equipment is designed to ensure proper fit and finish. From the first assembly in our atmosphere-controlled clean rooms to the final inspection at our quality-assurance stations, our people and processes are dedicated to craftsmanship. Bullet Resistant Glass Clad Transparencies feature extreme durability with less weight. Laminated Polycarbonate offers the maximum protection against bullets and physical attacks. We have been a proud provider of windshield kits installed on Army Humvees. Our windshield kit features high hardness steel molding, powder coated and precision water jet cut. The bullet resistant glass is a laminate made up of multiple sheet of Starfire water white glass and bound together with urethane, compatible with night vision goggles. We are proud of our troops and we feel privileged to have the opportunity to serve them. Our security glasses can be found in all sorts of architectural structures: court houses, government buildings, jails, prisons, hospitals, and retail outlets among others. They offer protection against forced entry and ballistic threat. They can be made as tinted, wired and as one-way mirror. With our state-of-the-art equipment, we can custom-fit glass and mirrors to compliment all your decorative needs. We offer complete line of beveling, edging and drilling services with highest tolerances and precise fitting.